In today’s society there are so many words that seem to be losing significance in the lives of people, particularly our children. There was a time when the word “respect” meant something, and children knew exactly what it meant. When they forgot, it would quickly be brought back to their remembrance--sometimes with evidence of the reminder. There was a time when the word “commitment” held value. However, it has become evident via our short-lived marriages, friendships, employment histories, residencies, and cell phone numbers that longevity, stability, and consistency are no longer the order of the day. Even the word “duty,” which means obligation, has been corrupted and blurred in meaning. So, far too many of today’s parents and children have not quite wrapped their minds around the notion of being obligated to one another. The Bible is not a “parent’s manual” with detailed information on “how-to” rear children. However, there are some things that the Bible makes perfectly clear, and it offers more than enough instructions to last parents a lifetime relative to what parents need to rear obedient, God-like children. Jesus expects children to love and honor their parents. Within those expectations, Jesus expects parents to understand that if children are to obey them in “everything,” parents should do “everything” in their power to rear Godly children and to keep hope alive within their children and not do anything that will cause their children to lose heart. Following are discussion materials and questions to use in Christian Education settings to make today’s scripture relevant to your context. You can add to the discussion material and add questions. One thing that is certain about Jesus is that he loves children. Scripture admonishes adults to be like them. Matthew 18:3 reads in part, "I tell you the truth, Unless you change and become like children, you will never enter the kingdom of heaven.” (NIV) Jesus knows that children are refreshingly innocent. They honestly express how they feel with no harm intended. Children love unconditionally and tend to be quick to forgive one another. On the other hand, adults tend to hold grudges and remain angry and bitter about things, even things that happened in the far-distant past. Adults even harbor anger towards persons who are dead! Children can fuss and argue one minute and return to playing with each other and being best friends the next. These are only a few examples of behaviors by children that make Jesus love them so and encourage adults to emulate such behaviors. Children have some ways about them from which adults can learn. Discussion Question: What does it mean to receive the Kingdom of God like a little child? Give examples of ways that we can be like children. On the other hand, children have a lot to learn. Upon birth, they have to be taught everything from how to walk and talk to how to dress and act. This means that couples who have children automatically become not only parents but teachers. Hopefully, they are teachers who pattern themselves after the Master Teacher, Jesus. One of the greatest and recurring lessons that he taught concerned love. Jesus taught of love in words and deeds, throughout his life via his death, and ultimately through his resurrection. Throughout the Scriptures we can find lessons on love and the importance of loving God and loving one another. One Scripture goes into great detail describing what love looks like and how God expects us to conduct ourselves accordingly. Other scriptures give us insights on love in relationships such as those between husbands and wives and children and parents. The interesting thing is that over and over again the word love is connected to the word obedience. Jesus says, “If you love me, keep my commandments.” In other words, love is not an empty word. It demands demonstration; it comes with a duty. Therefore, when Jesus is teaching us in the Word how we should love children and showing us how we should have compassion for them, it demands a response on our part. It becomes a duty. And, when Jesus is instructing children on how to treat their parents and how to honor and obey them, it becomes their duty to follow these instructions in order to be blessed and have long life. So the instructions, “Children, obey your parents in everything, for this is your acceptable duty in the Lord” and “Fathers, do not provoke your children, or they may lose heart” are words of wisdom on good parenting given to fathers which are applicable for mothers and children. Discussion Questions: What are some of the duties that parents have to children? What are some of the duties that children have to parents? This particular text makes clear that Jesus has expectations of children whom he loves so much. Within these expectations of children are instructions to parents to do right by their children. When Jesus told children to obey parents in “everything,” it meant that he was placing total confidence in parents that they would cherish and care for children. There is one “not to do” that is very important and should be noted by all parents, and that is “do not provoke your children.” The word provoke means annoy, irritate, and anger potentially towards negative behavior. Such a directive for parents is not to suggest that they have to do anything and everything to appease their children. Nor does it mean that children will be happy about all of the decisions that parents make or the disciplinary actions that parents take. However, it does mean that parents are expected to be fully aware that children are emotionally fragile creatures whose brains are not fully formed. This necessitates that parents not treat children as little adults with complex emotional understanding and consistently logical thought processes. Children have limited attention spans; any parent can tell you that. Children need to be told again and again to perform tasks and engage in certain behaviors. Any parent can tell you that, too. Children crave attention and want to be the center of the universe. Again, parents know this. All of this taken together simply means that parenting requires patience, repeating one’s self, being slow to anger, using every teaching tool available (and changing them as children age) to love a child into healthiness and wholeness. The notion of provoking children or causing children to lose heart is extremely relevant today. The number of children who are abused, malnourished and unparented has skyrocketed. Children have become disposable in too many instances. But, we express shock and dismay when they turn violent, have babies while they are babies, or refuse to obey directives from adults. A society that mistreats and ignores its children can expect children who in turn ignore the social mores and established guidelines for operating in that society. Interestingly, the word provoke also means “to call” or “to call forth.”1 With that in mind, it’s safe to say that it’s important what we call children and how we call them. For example, parents should not “call” children by negative names. Some parents belittle their children, label them, and call them names that cause internal scars. It’s even important how parents “call forth” or bring forth their children. Too many times children are “called forth” or brought into situations that are unhealthy and circumstances that can ultimately result in them “losing heart.” Too many parents place children in adult interactions that are negative, including contentious divorces, unhealthy relationships, family fights with others adults and even addiction battles of parents. All of these interactions can cause children to lose heart. When children lose heart, they lose their ability to dream and the drive to achieve. When children lose heart, they lose the courage and confidence necessary for success. When children lose heart they no longer care about doing the right thing or even try to ponder what that may be. When they lose heart they lose hope. The last thing that Jesus wants is for any child is to lose hope. It is the duty of parents to keep hope alive in their children. A book that addresses discipline of children and helps parents not provoke their children is Stickin' To, Watchin' Over, and Gettin' With: An African American Parent's Guide to Discipline by Howard Stevenson, Gwendolyn Davis and Saburah Abdul-Kabir. Discussion Question: How can parents provoke their children and cause the children to lose heart/hope? Give examples of how parents can give hope to their children. We’ve heard it said that engaging in positive family rituals is important to the healthy maturation of children. Well, it’s true. So why not develop some consistent family rituals. Here are some that are easy, but can be very meaningful. You can add to this list and use it as it best suits you and your child or children. A. 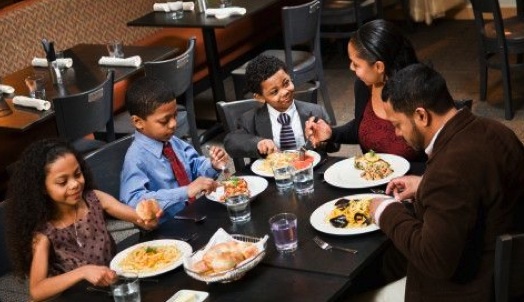 Eat together – Today’s families are busy and scattered in multiple directions at dinner time. Mothers may be at work long after children leave school. Fathers may work night shifts. Children may have basketball practice, dance practice, soccer practice, music lessons and the list goes on. However, it is critical that families find ways to consistently share meals together at least twice each week. Maybe the meal can be breakfast, perhaps dinner or even on a Saturday at lunch time. Whatever you do, do not allow the busyness of your life to make you ignore this important ritual. During meals parents can learn so much and teach so much. 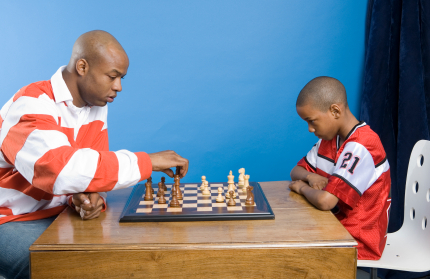 They provide opportunity for you to assess how your child is doing emotionally and intellectually. No cell phones, games, or television are allowed during this important ritual. B. 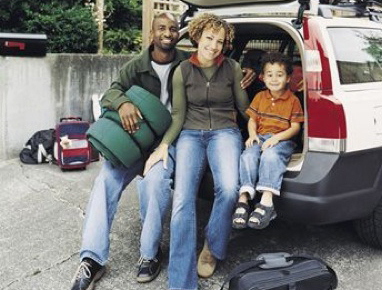 Take trips together - Your family income may not allow for extensive travel outside your state. However, a variety of travel can be planned that is not that costly. If you go to your local Children’s museum; that’s a trip. If you go to the movies together, to a local play, to the home of a senior relative who lives in a city that is least an hour drive, that’s a great trip. Also, use the web to find great local trips for children that are free or paid for by groups in your community. Then, save for the big trips and plan them with your child or children. Let them choose some of the activities for the trips. Whether it’s a fishing trip, a trip to an out of town theme park or even a trip to another country, you will build memories that your child and you will cherish for a life time. C. Study together - Even if parents are not in school, they should still be studying something from time to time. Maybe you can study your Sunday school lesson, the pros and cons of a local upcoming measure that will affect the education of your child, or maybe the Bible. Many children will want to go to a room and study alone. However, this should not become the rule; let your children see you study as they study and watch them as they study. Kids will be kids and easily distracted by things on their computers, their cell phones and even TV. However, if they get used to an adult watchful eye during study, these distractions are minimized. This is also a great time to encourage children to do their work with excellence, to help them when necessary, to find out which subjects are causing them difficulty and to congratulate them for work well done. D. Engage in exercise and sports together – Ours is a society that does not exercise enough. However, yours need not be a couch potato family. If you have a back yard, use it for more than cooking food. Jump rope with your children. Throw balls with them. Play basketball, hop scotch, or any other games they enjoy. To really get into the habit of exercising, occasionally take your child or children with you when you go for a walk or run. Participate in a local race together. Swim at the YMCA or the YWCA together. Whatever you do, take responsibility for your children being healthy and fit. Children do not become fat and obese by accident. 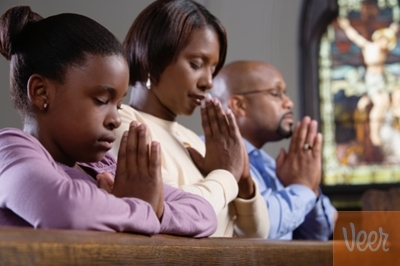 E. Attend church together – Some parents actually send their children to church and church activities but do not attend with them. This should not be the case. If you want to rear children of faith, they must have parents or guardians who are people of faith. Yes, youth church leaders and church school teachers help grow faith in children, too, but they are NOT a substitute for a child’s parents or guardians. F. Support each other’s achievements – All families should celebrate each other’s achievements. When your children receive an award in school, as part of a team, at church or anywhere, make it a priority to be there, camera in hand, to witness this. 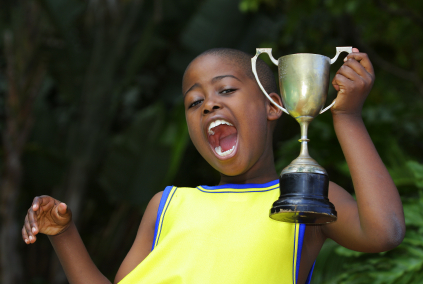 There is no such thing as a small award to a child. Likewise, when an adult in the family is to be saluted for work performed, bring the kids along. Just think how inspired they will be to see their mom, dad, an older sibling, grandmother, grandfather, aunts, uncles and cousins receive an award. When parents receive awards, it also helps if they acknowledge their children. G. Visit elder family members together – Many children experience visits to the home of their grandparents but children are often part of families with large circles of elders whom they rarely see. Do not miss the golden opportunity to expose your children to as many elder family members as possible, even those who live in other states. Seeing the elders in person is a must. However, if you cannot do this regularly, at least make sure that your children get to know them by phone. 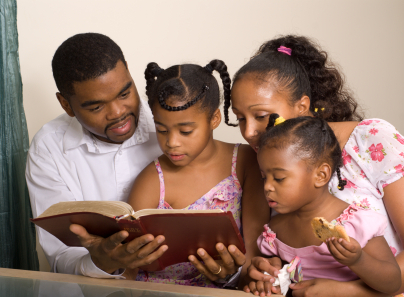 Encourage elders to share family stories with your children. Encourage your children to ask questions; prompt them if necessary to get them started. Have them share meals with elders and even visit them in nursing homes. Children cannot develop empathy for elders if they do not spend time with them. Further, just think of the cultural richness and history that your children will miss if you fail to put them in contact with the older members of their family. H. Study Black History through family wisdom circles, books, and trips – Black children, all studies have shown, are aided by having their history presented to them in a positive way, especially by adults who care about their well-being. Public schools will never be an adequate Black History teacher for your child. Take responsibility for ensuring that your children know of the achievements of blacks and the difficult journey they have faced in America and in other parts of the world. Black History can be studied and taught in so many ways; think outside the box, just make sure that you children learn it. 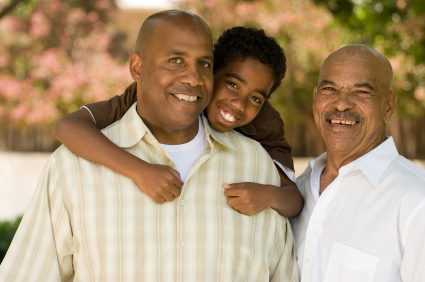 You can gather the seniors in your family and let them teach your child Black History up-close and personal. By all means, read Black History books to your children and make sure that they read them, too; Wikipedia is not a substitute for a well-written child’s book. Have them do book reports that teach Black History and take them on trips that teach them about Black History. 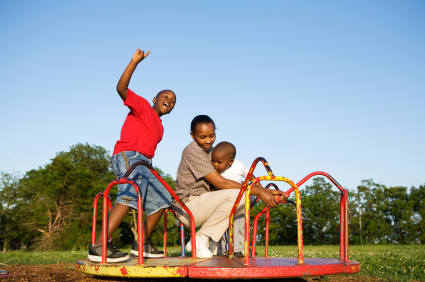 The country now has numerous Black History museums that are great for children. Find one in your area. I. Hold a game night at least once each week – We have seen the commercials advertising game nights for families as companies try to sell you board games and electronic games. These commercials have become more common during the economic recession. Although for these companies money is the bottom line, game nights really are great family rituals that are easy to do. Yes, there are the expensive games that operate via the latest technology. However, there are also inexpensive tried and true games such as Scrabble, Monopoly, Pictionary, and the list goes on. Your family can even make up their own games. Whatever you do, just get together each week and have fun. If the family that prays together stays together, imagine what can happen with those families who pray and play together. Each of the songs for today’s Lectionary moment comes from Walt Whitman and the Soul Children of Chicago. The first song, “Think Big,” is obvious for its use in encouraging the self-esteem of children. The second song, “I’m A Child,” helps adults see children just as they are, not as little adults, but as children, loved by God. It’s also a great song to encourage children to celebrate themselves. The final song, “Celebrate,” is just a fun song that children will enjoy and adults, too. Written in the genre of hip-hop, it encourages all children and children-at-heart, to celebrate Christ. Get your praise on with this one. it's just a matter of beginning to start following the feeling down deep in my heart. why should any thought be small? I might as well think big if I'm gonna think at all. if I trust in God and believe in myself. I belong to the King. and then He starts me on my way. and He hears me when I pray. I’m a child, but I am still growing. and He tells me what to say. You might say I act peculiar. Oh yes, I know my ways are strange. One day Jesus will call my name. blessed be the name of the righteous One. for all the things that He has done. Everybody praise Him, oh shout! let everybody know what it's all about. (Who got the praise?) We've got the praise. (Who you give the praise to?) Jesus. Dr. Comer has received forty-seven honorary degrees, including three in 2008 from Harvard University, Lesley University, and Sacred Heart University; the John & Mary Markle Scholar in Academic Medicine Award; Rockefeller Public Service Award; Harold W. McGraw, Jr. Prize in Education; Charles A. Dana Award for Pioneering Achievement in Education; the Heinz Award for the Human Condition; the John Hope Franklin Award; and most recently, the University of Louisville 2007 Grawemeyer Award for Education. 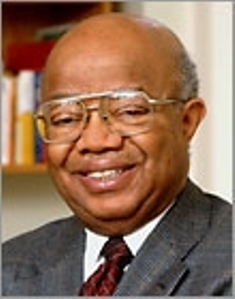 He is a member of the Institute of Medicine of the American Academy of Arts and Sciences.6 The African American Lectionary team encourages all who work with children to learn more about this pioneer.